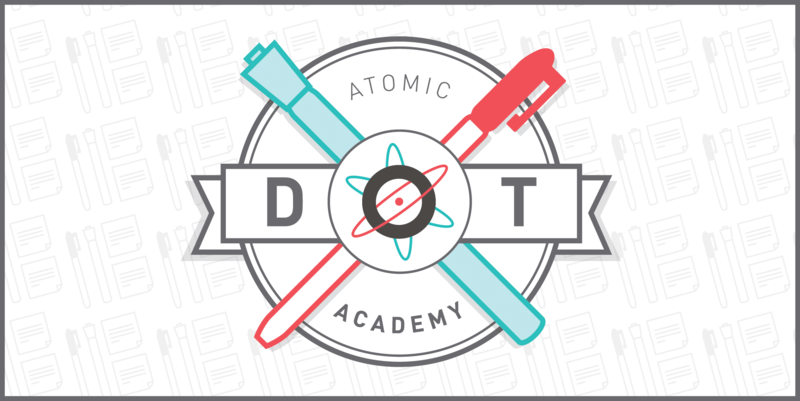 Rose, Bud, Thorn may be the most commonly used Design Thinking activity at Atomic due to its versatility and ease of use. There are a couple of ways to use this method. One approach is to use sticky notes as labels to tag categories or single items in a data set. Using pink notes for rose concepts, green notes for buds, and blue notes for thorns works well. At Atomic, we’ve used this method when creating an experience diagram to annotate breakpoints, opportunities for improvements, and things we liked that we didn’t want to accidentally break during the process of redesigning and improving something else. It’s an extremely rich and useful representation of the day-in-a-life type artifact. 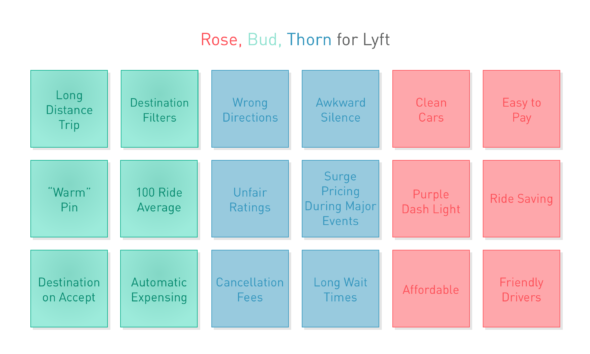 Here’s an example of how Lyft might use this activity for their app. Did you experience pain points in the process? If all goes well, themes will start emerging, and you can start to cluster them by affinity (Affinity Mapping). The team will immediately see which areas are more problematic, promising, and than others. You can synthesize this information in a Google Drawing document or Mural so that teammates can continue to add thoughts and evolve the activity.